Judge Juan R. Torruella Del Valle, the longest-standing federal judge in Puerto Rican history, has warned that the Financial Control Board being planned in the US Congress could lead to civil disobedience and violence in Puerto Rico. According to Judge Torruella, the Control Board is further evidence of the colonial status of Puerto Rico, which is the cause of Puerto Rico’s economic crisis. 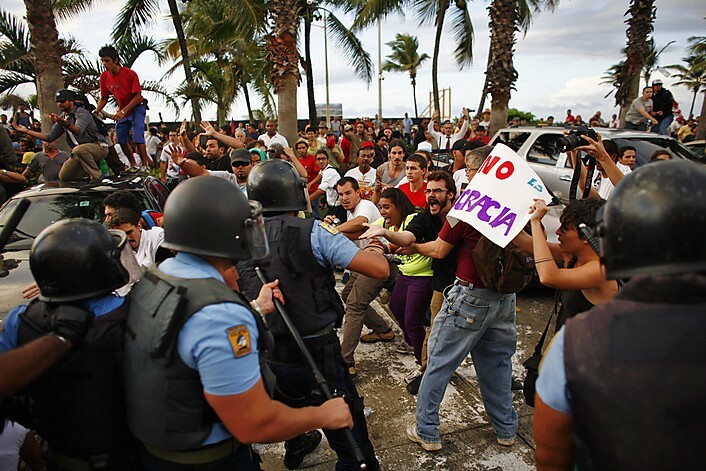 “This Board could lead to unintended consequences and violence in Puerto Rico,” said Torruella. Judge Torruella’s firm posture is not new. Two years ago, he called for a general boycott of US chain stores in Puerto Rico, by the consumers who live on the island. Judge Torruella is one of the migt highly-respected jurists in the United States. He has served on the federal bench for 41 years, since 1974. He has served on the First Circuit Court of Appeals for 31 years, since 1984. For seven years – from 1994 through 2001 – he was the Chief Justice of the First Circuit Court. For this reason, it is highly significant, that Judge Torruella is warning of violence in Puerto Rico, as a possible consequence of the Financial Control Board. “This Board could lead to unintended consequences and violence…” *unintended* is just diplomatic bs. globally, governments are instituting measures that only an idiot would not see will lead to violence from the people effected. we must think about why that could be. be smart enough to see the macro mid and long term games and navigate wisely. A long awaited consequence to the imperialist reign disguised as Democracy. Que viva los hijos y las hijas de la tierra Borinquen. Que se muera finalmente la Colonia segunda, y los que nos quieren ver subyugados a los E.U. se pueden ir persiguiendo su rabito. What the US will most likely use is the 65th infanteria to club and kill their own people. Then they will turn around and say we had nothing to do with the killing and maiming— just like the Ponce Massacre. BRACE YOUSELVES. Then the puppet politicians will come out and give their speeches of PROMESAS, PROMESAS, and more PROMESAS — Just like operation Booth Strap. Don’t fall again for that OPERATION BOOBY TRAP!!!! “Long live a free Puerto Rico”. It’s time to shed that colonial mentality. … Thank you, Judge … If the “Board” is imposed, I sure hope it leads to “civil disobedience and violence”! !